- Up to 30 pages per minute in A4 in colour and b/w. - Time to first page 10 seconds (b/w: 8.5 seconds). - Up to 9,600 dpi printing quality with multibit technology. 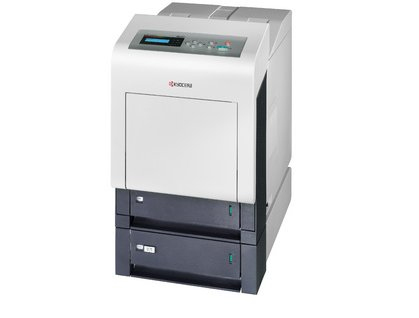 - Standard duplex unit for double-sided printing. - 500-sheet universal cassette, also for A6 format. - Up to 5 paper feeders for a paper volume of up to 2,150 sheets. - Mobile printing support including AirPrint. - Exceptionally low printing costs in its class.